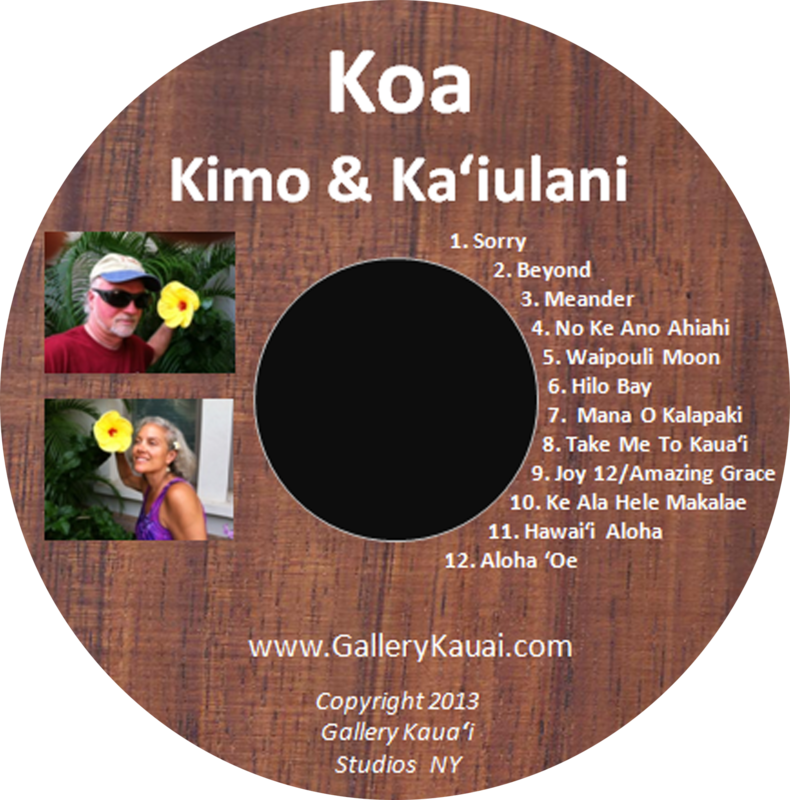 Kimo and Ka'iulani are performers, songwriters, recording artists, teachers & producers of Hawaiian Slack Key Guitar, Ukulele, Vocals, Hula and much more. 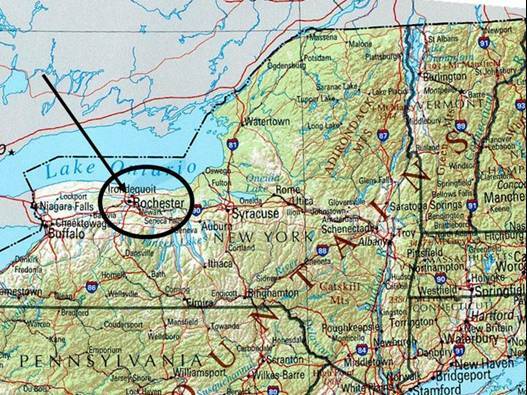 Gallery Kaua'i is located in Rochester, New York. It was founded in 2001 by Kumu Victoria Ka'iulani Visiko and her husband, Wayne Kimo Knox. 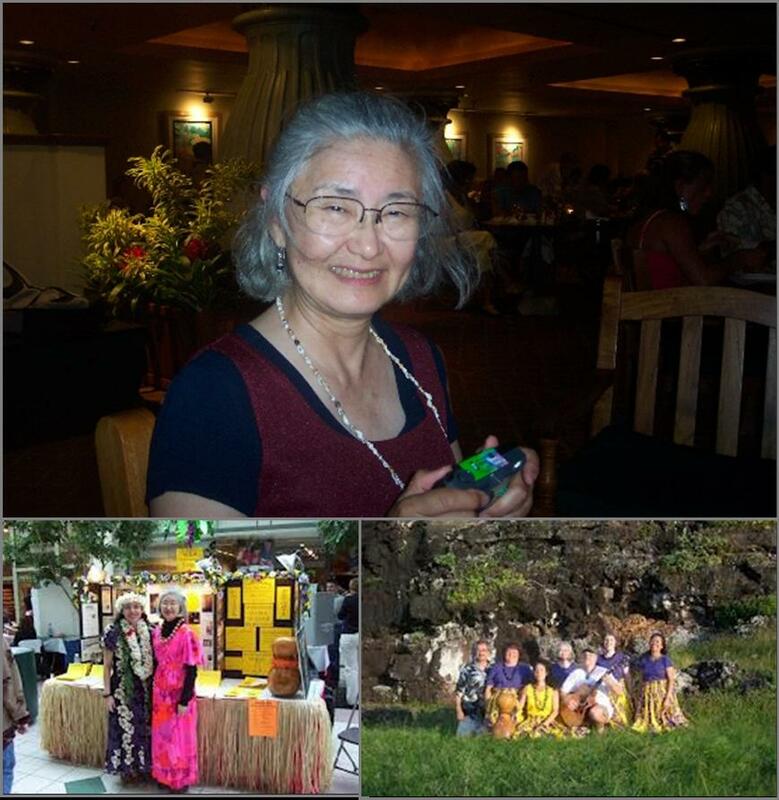 Ka'iulani has been involved in Hula for over 44 years. 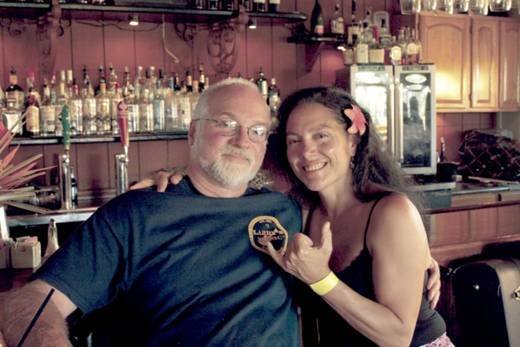 She has been influenced by and has studied with several Kumu hula (hula masters) on the Islands. Ka'iulani is a student of Mapuana de Silva and a member of Halau Mohala 'Ilima. She is in the Hi'ikua 'Ekolu 'Uniki Class. 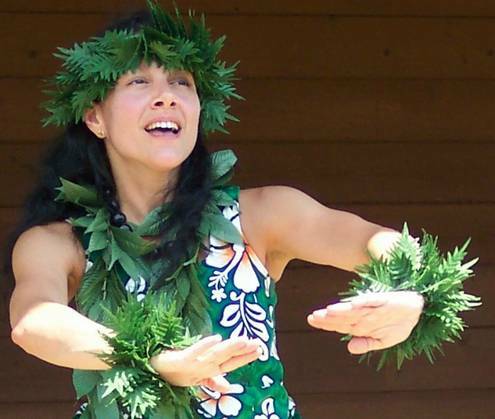 Ka'iulani has also attended many Hula workshops in Hawaii and on the mainland including "E Pili Ka Kou" with Kumu Frank Kawaikapuokalani Hewett, Keali'i Ceballos, Sonny Ching, Charles Kaupu, George Holokai, Kealoha Kalama, Leialoha Amina Lim, Michael "Keala" Ching. The Gallery Kaua'i Halau is a traditional Hawaiian Dance school that is dedicated to promoting the authentic culture of Hawai’i through traditional dance and music. Wayne Kimo Knox is Music Director. He teaches classes & workshops in Hawaiian Slack Key Guitar and Ukulele at Gallery Kaua'i. Kumu Victoria Ka'iulani and Kimo’s dedication to the perpetuation of the Hawaiian Culture through the arts has been well rewarded. 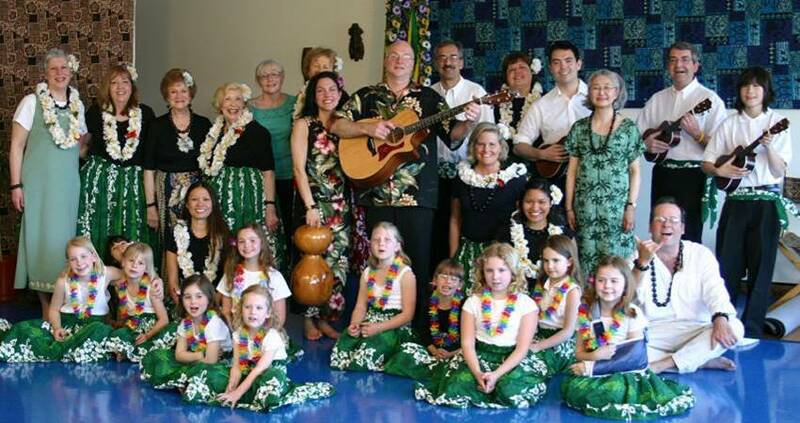 They have performed and conducted workshops at many events locally, in Western NY State and in Hawai’i. Some events include: the Rochester Strong Museum, Rochester Museum & Science Center, Libraries, area Schools & Colleges, Scout Club Functions, Private & Corporate parties and Weddings…many Special Occasions. 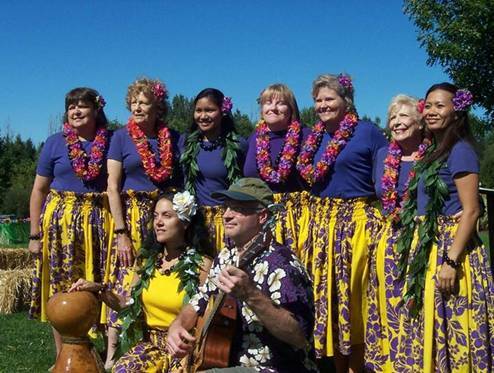 The halau has been featured at festivals (Roseland Waterpark, Cornhill, Park Avenue, Monroe County Fair and International Day in Pittsford). Kimo & Ka'iulani have performed for the past 7 years at the Clothesline Festival-Memorial Art Gallery. Gallery Kaua'i has been featured on television many times since 2001. Kumu Victoria Ka'iulani Visiko, Wayne Kimo Knox and the Gallery Kaua'i students hold the Hawaiian Cultural Arts close to their hearts and express their Aloha Spirit every time they dance, chant or play the sounds of Hawaii -- whether for an audience of many or for each other. Gallery Kaua'i, welcomes all Hawaiians and Hawaiians at heart, so come join us at Western New York’s only professional Center for Hawaiian Studies & Performing Arts. 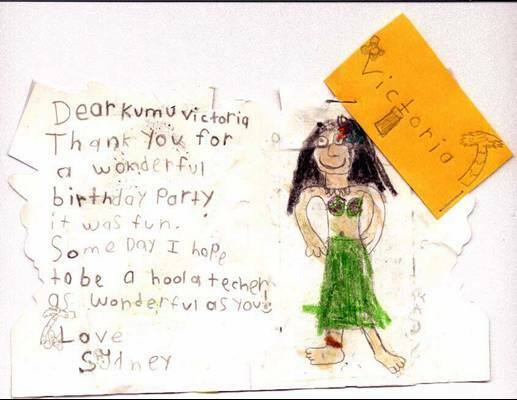 Please email Kumu Victoria at Eyewrite@aol.com. Aloha Ohana & Friends ! It has been a dream of mine to open Gallery Kaua'i for a very long time and with the encouragement of many Hawaiian friends and the support of my husband, Wayne Kimo Knox & our six children, it has come true! I spend several hours per week creating new choreography to perform and perfecting the traditional Hula chants. With great joy and “Aloha Spirit”, I hope to bring to you many aspect of Hawaiian culture, which over the years I have grown to love and depend on everyday. “Aloha Spirit” is the love of life and humanity filled with warmth, compassion and understanding. I look forward to sharing my love of Hawaiian culture through the Hula, music and art at Gallery Kaua'i. All ages & All levels are WELCOME!